Anna Bjornsdottir, whose tip led to the capture of James ‘‘Whitey’’ Bulger, in Reykjavik, Iceland. “Isn’t she nice?’’ Bjornsdottir said of Gasko to a neighbor. It was this bond, formed over the cat, that proved the downfall of one of America’s most wanted men, South Boston gangster James “Whitey’’ Bulger, after 16 years on the run. In a violent end to a long and murderous career, notorious Boston gangster James “Whitey” Bulger was killed Tuesday at a West Virginia prison. To fellow residents of the Princess Eugenia complex, the Gaskos were friendly retirees who valued their privacy. 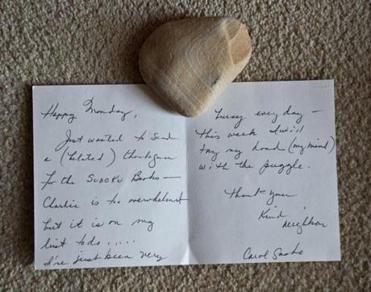 She sent thank you notes for small favors addressed to “kind neighbor,’’ but the couple seldom invited anyone into their home. Bulger once overruled Greig’s request to have a maintenance crew repaint the chipped walls in their apartment, perhaps because workers would have discovered the holes he cut to hide an arsenal of weapons and more than $800,000 in cash. It was a carefully constructed life built on lies within lies, a life in which Bulger went by different names as the situation required. The FBI recovered 15 different aliases in the apartment along with a book, “Secrets of a Back-Alley ID Man,’’ about how to forge identification papers. Despite Bulger’s post-arrest boast about trips to Las Vegas and visiting Boston “armed to the teeth,’’ there’s little to suggest the couple traveled much in recent years, especially after the crackdown in airport and border security following the Sept. 11, 2001, attacks. Asked by a Santa Monica friend if she ever went anywhere, Greig mentioned only a single trip to San Francisco 10 years earlier. But it wasn’t enough. Catherine Greig had made a lasting impression on Bjornsdottir, the former beauty queen and actress perhaps most famous for starring as one of the blondes in Noxzema’s iconic “Take It Off’’ TV commercials. Now a 57-year-old yoga instructor and graphic designer, Bjornsdottir recently collected $2 million of the $2.1 million in combined FBI rewards for her tip leading to Bulger and Greig’s arrest in the basement of their Santa Monica apartment building on June 22. That very ordinariness helped Bulger live undetected, according to Charles “Chip’’ Fleming, a retired Boston police detective who spent six years assigned to the FBI-led task force that worked full time trying to track Bulger. While the FBI chased reported Bulger sightings from a Native American reservation in Wyoming to Piccadilly Circus in London, the gangster was quietly living within walking distance of one of America’s most famous landmarks, the Santa Monica Pier. The residents of Apt. 303 fit in comfortably with most of the neighbors at the Princess Eugenia complex, a 27-unit building at 1012 Third St. two blocks from the ocean that once was home mainly to art scholars from the J. Paul Getty Museum. “I can’t tell you how incredibly nice these people were. They were very low-maintenance. These people never complained,” said Birgitta Farinelli, a manager at the building where Bulger rented. One of the managers, Birgitta Farinelli, would take the crisp bills from Greig and joke “Carol did you rob the bank again?’’ The two would laugh. Few who knew the hot-tempered Bulger during his Southie days would have described him as “incredibly nice.’’ The ruthless gangster allegedly strangled two women among his many victims, then took a nap while one of them was buried in the dirt cellar. He allegedly chained another man to a chair and tortured him for hours until he told Bulger where he had stashed cash, then shot him in the head with a machine gun. A South Boston native who worked as a dental hygienist and dog groomer, Greig had been Bulger’s “other woman’’ for about 18 years while the gangster was sharing a South Boston home with Teresa Stanley and her four children. “She wanted to break it off with him, and she had to do something that would just end it for them,’’ said Stanley. “After 30 years I wouldn’t have been able to say: ‘That’s it. You’re on your own. See you later,’ ’’ Stanley said. “He did not have a nice life. He lived afraid in his little apartment with the curtains drawn without any opportunity to spend his money and enjoy his life,” said Janus Goodwin, a neighbor of the couple, speaking about Bulger. Goodwin, a longtime neighbor who was occasionally invited inside the couple’s apartment, recalled that Bulger would lie back on his futon as Greig bustled about the apartment. Some people in the neighborhood described the Gaskos as a “darling’’ elderly couple, who sometimes held hands during their daily walks. But a few women who knew them said they rarely showed affection and that Bulger, almost 22 years older than Greig, seemed controlling. 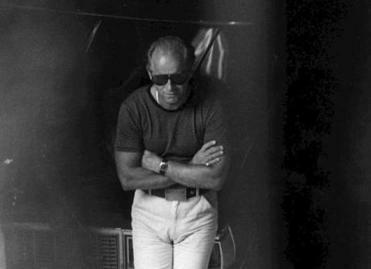 When Bulger fled Boston with Greig, he had a rock solid fake identity in his pocket. Posing as Thomas Baxter, Bulger bought a car in New York and traveled the country with Greig from Chicago to a resort town in Louisiana’s Cajun country. But when his former girlfriend Stanley started helping the FBI in 1996, she told agents about the Baxter alias and where Bulger had been staying, allowing them to track him to Louisiana. She quickly regretted what she had done and told a Bulger associate, who warned the gangster and sent him scrambling for new identities. By the time, Bulger and Greig arrived in Santa Monica, they had settled on “Charles and Carol Gasko,’’ names they invented. It worked for paying bills with cash and cashier’s checks. But if they planned to drive, bank, or get health care, they would need identification in the form of driver’s licenses and Social Security numbers. “He literally saw him on a bench,’’ said one of the people who spoke on the condition of anonymity because of the sensitivity of the case. “It was about a week after Whitey got popped,’’ the manager said. They said they were visiting “in reference to Whitey Bulger.’’ And they were very curious about Lawlor: Who visited him? Who were his friends? “I said, ‘Are you sure you got the right guy?’ ’’ said the manager, mystified that the short, overweight man with no money and seemingly no connections outside the hotel could be connected to Bulger. 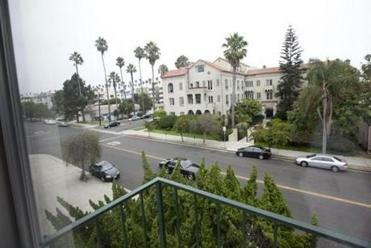 The view from the balcony of Bulger’s apartment showed palm tree-lined Third Street and the elegant, Mediterranean-style hotel across the street. But the couple was less interested in enjoying the view than in keeping prying eyes out. The apartment looked like it belonged to “a very, very, very poor retired couple living on what they had,’’ said Goodwin, a 62-year-old minister who lived a few doors down from the couple. “I think he was bored,’’ he said, noting that Bulger also kept about 200 books on shelves. “He could relay word for word conversations I had with my friends,’’ said Bond, who is also a property manager. The couple never complained when he and his friends played country music well into the night. 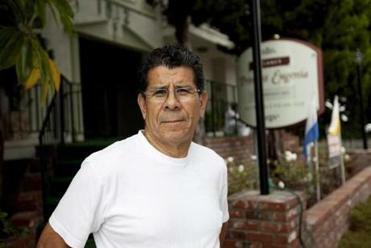 “I told the maids to be careful when they were cleaning, because the little old man across the street was spying on them,’’ he said in Spanish. “Enrique, why don’t you teach him how to do laundry?’’ she would joke. “It’s its own little nook,’’ Turner said. “It’s the best table in the sense of being able to have a view of everything, but also being isolated.’’ Bulger always paid in cash and, during a 2009 visit the month that Bulger turned 80, they left more than a 20 percent tip. “You have to protect yourself,’’ he told her, according to her account, which she gave on condition of anonymity because of the media attention the case has drawn. He demonstrated how she should use it if someone accosted her. “Just flip it open and spray it in his face,’’ pointing the can at her. The FBI never stopped looking for Bulger. But after the FBI publicly admitted in 1997 that Bulger had been its longtime informant - confirming what the Globe had reported nine years earlier - many questioned whether the agency really wanted to catch him. That year, the FBI brought in other law enforcement agencies, creating a task force that once averaged about a dozen agents, officers, and analysts assigned full time to tracking Bulger. But nothing worked and the simple two-word question, “Where’s Whitey?’’ became a standing rebuke to the FBI. In January 2000, after “America’s Most Wanted’’ aired a segment on Bulger and Greig, a viewer called to report she had spotted them a couple of weeks earlier at a hair salon in Fountain Valley, Calif., a town located about an hour south of Santa Monica. The caller said Greig had her hair dyed, while Bulger waited outside in a car. In 2008, a Las Vegas man told “America’s Most Wanted’’ that he had spotted Bulger on the Santa Monica Pier talking about Boston with a young passerby who was wearing a Celtics shirt. Though the man, Keith Messina, left his name and cellphone number, which were later passed along to the FBI, he said he never received a call from the FBI about his tip. “Once bin Laden was killed that freed up money to go toward Whitey,’’ said Fleming. RECLUSIVE TIPSTER Anna Bjornsdottir has declined to give interviews after her tip to the FBI led to Bulger’s capture. 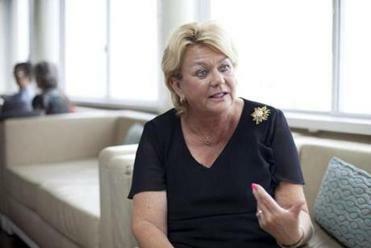 Luck finally came in the form of Anna Bjornsdottir, who had gained fame after moving from her native Iceland to Southern California in the late 1970s. She had competed as Miss Iceland in the 1974 Miss Universe pageant, where she was voted Miss Congeniality by her fellow contestants. By 1980, she and her Icelandic rock musician husband were living the glamorous life in Los Angeles. A profile of the couple in People magazine described her as “one of the world’s most beautiful and successful models,’’ who earned more than $2,000 a day for appearing in commercials for Noxzema and Vidal Sassoon. On Monday morning, June 20, the FBI launched a publicity campaign focused on Greig, in the hope that the sociable younger woman might be more recognizable than the much older Bulger. The view from the apartment where Bulger and Grieg stayed. When asked how sure he was, Bond said, “100 percent,’’ according to a person with knowledge of the conversation. “Ma’am, when you see so many FBI you should know something serious is going down,’’ an officer responded. “In my opinion, she seemed glad it was over,’’ Goodwin said. “I miss them,’’ said Gayle Shankle, who received the air purifier from the couple. In pen, he had scrawled “Mice,’’ then drawn an arrow pointing to the words “All done.’’ Below, in Spanish, he wrote “Fin. Muerte.’’ End. Death. “I had no idea,’’ he said. “He said he was sorry he wasn’t able to say goodbye, that he never told me who he really was,’’ said Sanchez. “ ‘For me, it’s over,’ ’’ Sanchez said Bulger wrote. But he wrote of his hopes that Greig, now being held without bail in a Rhode Island jail, might still be freed.